Bhí an-spóirt againn i rith Seachtain na Gaeilge. 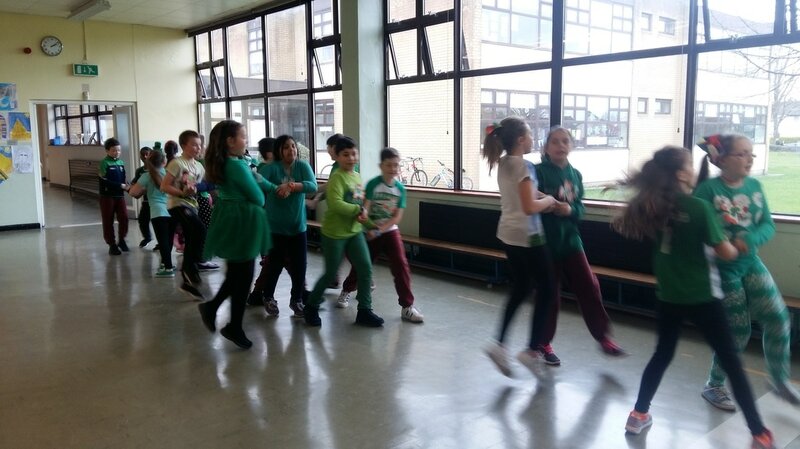 We took part in many activities like a Ceilí with Ms. O'Sullivan and a Tráth na gCeist organised by Ms. O'Mara. A few of our class were on the winning teams and really enjoyed the Easter eggs they got as prizes! We had great fun during Friendship Week when we helped our 'buddies' in Ms. Doyles class. We took part in some Art activities and helped with their Maths. 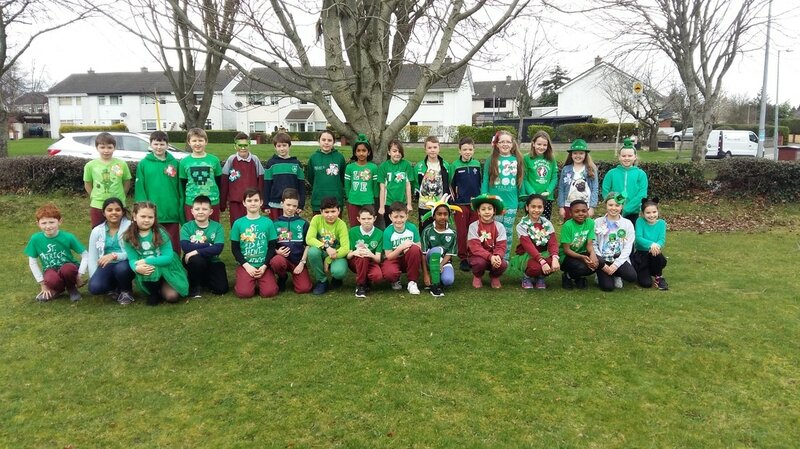 We made great friends with Senior Infants and enjoyed playing with them on the yard during that week. Mrs. Daly came to pay us a visit. She brought us out to the garden to dig up the white turnips we planted last year. We found loads of turnips, along with some tiny carrots and a couple of potatoes. We each got to bring a big and a small turnip home. Some people in the class enjoyed turnip for their dinner that night. On Wednesday the 12th of October, Ms. O'Mara's class held the elections for Student Council. 23 children in our class put themselves forward to be elected but we could only choose 2. We marked our voting sheet in private and we placed them in the Ballot Box to be counted later. Well done to all the children who put themselves forward to be our class representatives. A special well done to our winners! We had great fun celebrating Maths Week this year. We made posters, played lots of games and did a Maths trail in the yard.